Fibromyalgia and chronic fatigue syndrome both involve low pain thresholds. Your pain threshold is the point at which sensation becomes painful. It's not the same thing as tolerance, which is how much you can handle. For an example of pain threshold, think of a dentist drilling in your teeth. It doesn't hurt...until it does! It all depends on when your threshold is reached, and it's different for all of us. Another real-life example is the blood pressure cuff that nurses wrap around your arm and pump up. At first, there's light pressure. Then the pressure increases and increases. For someone with a high pain threshold, it may never get uncomfortable. For someone with a low threshold, it may start uncomfortable and become quite painful. Pain thresholds vary from person to person and research suggests that they are abnormally low in fibromyalgia. That's why things that aren't painful to most people can cause pain in those with this condition. The medical term for pain caused by things that don't normally hurt is allodynia. In fibromyalgia, the pressure pain threshold (the point at which pressure becomes painful) is a common area of focus for researchers. A low-pressure pain threshold is the reason behind the tender-point exam, which is a common diagnostic method for the condition. 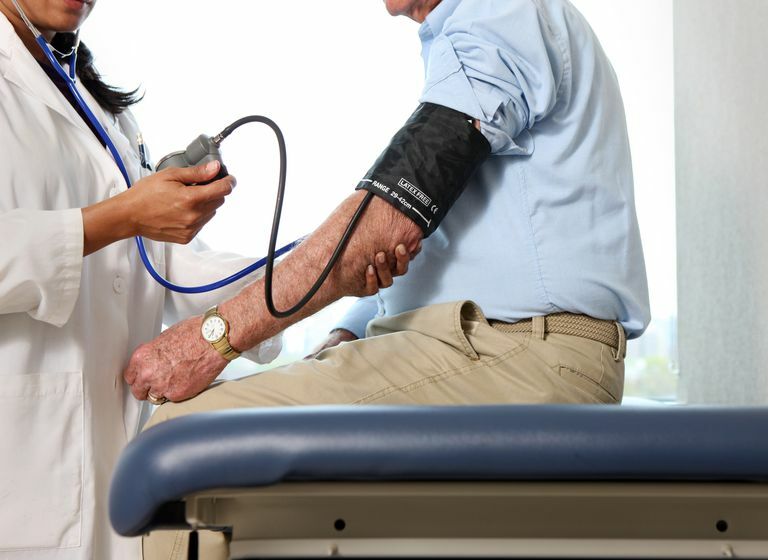 Two studies have looked at whether doctors can use a blood pressure cuff as a simple way to identify patients who should be evaluated for fibromyalgia. Both concluded that it's a reasonably accurate way to identify a low pressure-pain threshold. Fibromyalgia also involves a low threshold for temperature-related pain, which is called thermal allodynia. This results in temperature sensitivity, which is an extremely common symptom in this illness. Some people with fibromyalgia are sensitive only to cold, some only to heat, and others to both. The threshold may also be low when it comes to mechanical stimulation, which involves something moving across your skin. This often shows up as someone being "sensitive" to things like tags in their shirt. It may make heavier or coarser fabrics feel like sandpaper. A hand placed on the upper arm may not hurt, while lightly rubbing the skin does. Some research also suggests that low pain thresholds are a part of chronic fatigue syndrome and juvenile chronic fatigue syndrome. At least one study shows that pain thresholds drop following exercise for people with this condition. That response may be part of a key symptom of the diseases, which is called post-exertional malaise. The term pain threshold is often confused with, or wrongly used interchangeably with, pain tolerance. These terms are actually quite different. Your pain tolerance is the amount of pain that you can take before breaking down. That can mean physically breaking down (i.e., passing out, vomiting) or mentally breaking down (i.e., crying or screaming uncontrollably). On the surface, these two concepts can seem similar. However, someone with a low threshold can have a high tolerance and vice versa. Imagine someone who rarely feels pain (high threshold) but then has a major injury. Because they have little experience dealing with pain, their tolerance might be low. Meanwhile, someone who's in pain all the time due to a low threshold may be able to function even at high pain levels that would seriously impair someone else. A person with a low threshold and low tolerance may be severely debilitated anytime they're in pain. Someone with a high threshold and high tolerance, on the other hand, may rarely notice pain. People with a low threshold and/or low tolerance can be harshly judged by others. It's important to realize that these people aren't "making a big deal out of nothing," and they're not "weak." These are physiological responses that we can't control. So if someone else feels pain from something you think shouldn't be painful, try to understand that their physical experience of pain may be very different from yours. That said, these levels can and do change over time. In someone with fibromyalgia, it may even be different during flares than it is during remissions when symptom levels are lower. Chandran AB, et al. Nursing research. 2012 Sep-Oct;61(5):363-8. Sphygmomanometry-evoked allodynia in chronic pain patients with and without fibromyalgia. Meeus M, et al. Journal of rehabilitation medicine. 2010 Oct;42(9):884-90. Reduced pressure pain thresholds in response to exercise in chronic fatigue syndrome but not in chronic low back pain: an experimental study. Winger A, et al. BMJ open. 2014 Oct 6;4(9):e005920. Pain and pressure pain thresholds in adolescents with chronic fatigue syndrome and healthy controls: a cross-sectional study. Zanette SA, et al. Molecular pain. 2014 Jul 8;10:46. Higher serum S100B and BDNF levels are correlated with a lower pressure-pain threshold in fibromyalgia.